I do not work on the TU Delft campus, do I still have to come to the intake interview? If you are situated abroad and will not visit the Netherlands within 6 months you may complete your registration by post and via e-mail. Please send an e-mail to graduateschool@tudelft.nl and explain your situation. We will provide you with instructions for your registration. If you will visit TU Delft in the near future, please let us know the date(s) and times at which you will be available (at least one week in advance) and we will try to schedule your intake accordingly. I do not have a Master’s degree, which degree should I bring to the intake interview? Dutch law requires PhD candidates to have a degree that is equal to the level of a Dutch Master’s degree. If you have another kind of degree that is similar to or higher than a MSc degree, please bring the required documents relating to this degree with you. If you also have a BSc degree, please bring the required documents relating to your BSc degree also. If you have not yet completed/obtained your Master degree, please provide a signed statement and transcript of records from your university stating your current study progress. Also, bring the required documents relating to your BSc degree. Naturally, you will be asked to provide all required documents on your MSc degree shortly after obtaining it. My degree is higher than a Master’s degree. Which degree should I bring to the intake interview? If you have a higher degree, please bring the equivalents of the required documents, together with your MSc level documents. Can you give me more information about certified copies? Where can I get a certified copy? The university where you obtained your degree. This guarantees the validity of the original document. When a document is certified by a notary or at an embassy, this does not guarantee the validity of the original document. A certified copy is a copy (often a photocopy) of a primary document, that has on it an endorsement or certificate (signature/stamp/apostille) confirming that this is a true copy of the primary document. If you are asking your university for certified copies, always ask them to send at least two. Why does TU Delft prefer a certified copy to the original document? The owner of the document(s) runs a lower risk of loss or damage. If you do not have certified copies, you have to bring the originals to the intake interview. The originals will be checked and copied during the intake interview. The TU Delft Admissions Office evaluates all foreign degrees after the intake interview has taken place. We do not take original documents, that is why the Admissions Office prefers certified copies to regular copies of an original document. A transcript of records provides an overview of the curriculum / study programme. It lists all completed courses and the number of credits and the grades that were obtained and contains a date of issue. An appendix to the transcript also explains the credit and grading systems used. The transcript may also contain all honours received and degrees conferred to the student, the grade point average, the number of people in a class, and the average grade of the class. At TU Delft you can get your transcript of records at the service point of your own faculty. Here they will print an overview of your grades in Osiris and provide the necessary stamps, signatures and dates. Can you give me more information about certified translations? Where can I get a certified translation? If you did not get one with your degree, ask your university if they can provide one or two. If you are already in the Netherlands, contact your local embassy/consulate. They will be able to recommend a certified translator. You can also find one yourself. Keep in mind that most of these translators translate into Dutch. However, there are some that can translate into Dutch and English. If you are still in your home country, your local Dutch embassy/consulate will be able to put you in touch with a translator. In the Netherlands, documents such as birth certificates and educational degrees written in any other language than Dutch, English, French, or German must be translated into one of these four languages by a sworn translator. The sworn translator signs and stamps the translation and declares that the translation is a true and faithful rendition of the original document. Typically, the professional translator’s certificate of accuracy is securely attached to the translation together with a copy of the primary document. If these pages are separated the translation is no longer valid! Since a sworn translator is not an expert on transcripts and degrees, their translations do not guarantee the validity of the original document. That is why we also need certified copies of the original documents in the original language. Sworn translators are certified by the court. Only those translators who have demonstrable training and skills are granted certification and are registered in the Register of Sworn Interpreters and Translators. What should my CV contain? A regular ‘Dutch’ CV should provide some personal information, an overview of work experience and education, an overview of skills and competences. If applicable, please add an overview of past publications. The website Europass http://europass.cedefop.europa.eu/en/documents/curriculum-vitae provides a useful template. Can I bring an identification document other than my passport? You can bring a valid EU ID-card, but we cannot accept a driving license or residence permit as valid means of identification. My passport states the county/state/province that I was born in, not the city. Is that sufficient? No, that is not sufficient information. Please bring a copy of your birth certificate together with your passport to the intake interview. It is necessary because your birthplace will be written on your doctorate degree. Are you new to TU Delft or still confused how to fully pronounce 3mE? 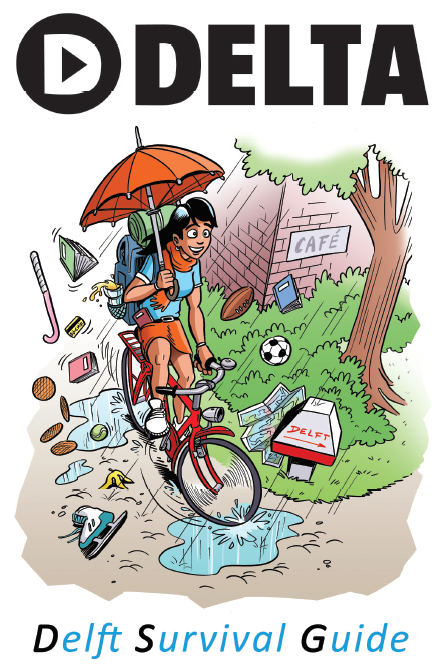 Read the Delft Survival guide and get to know everything about the campus, Delft and the Dutch life.